It’s a win-win: Exercise can improve the quality of sleep, and good sleep can improve your exercise performance. As little as 10 minutes of aerobic exercise, such as walking or cycling, can improve the quality of your nighttime sleep, especially when done on a regular basis, according to the National Sleep Foundation. Brian Ferrari, national programming manager for the Gold’s Gym Fitness Academy, knows this firsthand. On the flip side, quality of rest is important when preparing your body for athletic activity and for recovery afterward — especially for high-intensity training sessions and endurance events. 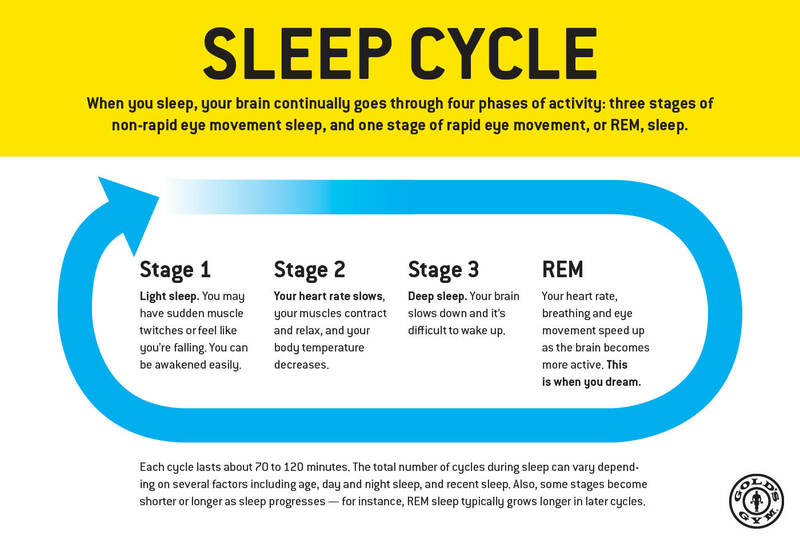 If you’re having trouble falling or staying asleep, exercising can help by resetting your sleep cycle. Your body temperature rises during your workout. When it drops again, usually a few hours later, it triggers sleepiness. When you’re trying to use exercise to promote sleep or ease sleep trouble, take note of when you begin to feel tired after a workout and adjust your exercise schedule accordingly. Consistent timing will help you develop and maintain a sleep pattern that is more likely to help you achieve the recommended seven to nine hours per night. We all know we feel good when we get the right amount of quality sleep. But did you know that if you’re not sleeping well, you’re sabotaging your efforts at the gym? Whether you’re maintaining a daily exercise routine or training for an athletic competition, those four things are critical to physical performance, recovery and injury prevention. Listen to your body. Give yourself the rest you need and you’re more likely to achieve the success you want.